I am having trouble transferring Outlook contacts from Outlook 2010 to iphone 4 that I just reset to the factory settings (no contact info). I have several contacts folders in outlook, each one associated with a different email account. When I go to sync with iTunes, no matter what I do no contacts are transferred over. Got a new iPhone, iPhone 5 for example, and intend to import the old Outlook contacts? How long it will take to renew contacts one by one, especially when the amount is huge. In fact, with an Apple device manager, you can sync Outlook contacts with iPhone easily and conveniently. If you decide to sync with iTunes, the official Apple management tool, it may fail to work for some reason as the user shows above. Here, I strongly recommend you Wondershare MobileGo for iOS. It’s specially designed to manage your iPhone in an easy way. It enables you to import contacts from Outlook to iPhone quickly. Download this free trial version of MobileGo for iOS and follow the steps below. You will soon learn how to achieve the goal. To get started, install and launch MobileGo for iOS on your PC. Connect your iPhone with this program via a USB cable. MobileGo for iOS will detect your iPhone as soon as it’s connected and shows it in the primary window. Note: To move outlook contacts to iPhone, you ought to install iTunes on your computer . Click the button "Contacts" in the left column to bring up the contacts window. Select contacts that you prepare to transfer. Then click "Import/Export". In the drop-down list, choose "Import contacts from". And in the pull-down menu, select either import from Outlook 2003/2007/2010 or import from Outlook Express. Make sure your iPhone doesn’t disconnect during the whole process. 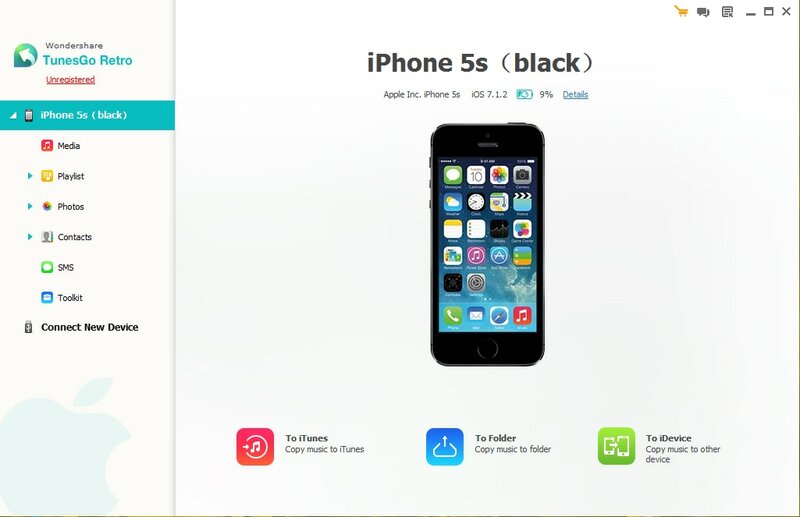 Note: MobileGo for iOS is fully compatible with all iPhone models, namely, iPhone 5, iPhone 4S, iPhone 4 and iPhone 3GS. In brief, MobileGo for iOS is an easy and efficient Apple device manager. 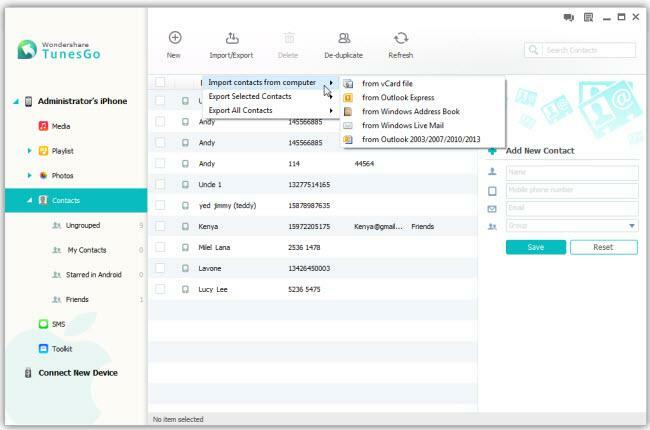 It not only empowers you to move Outlook contacts to iPhone within one minute but also export iPhone contacts to Outlook. Additionally, you are able to add contacts on your computer to your iPhone, as well as backup them to computer.